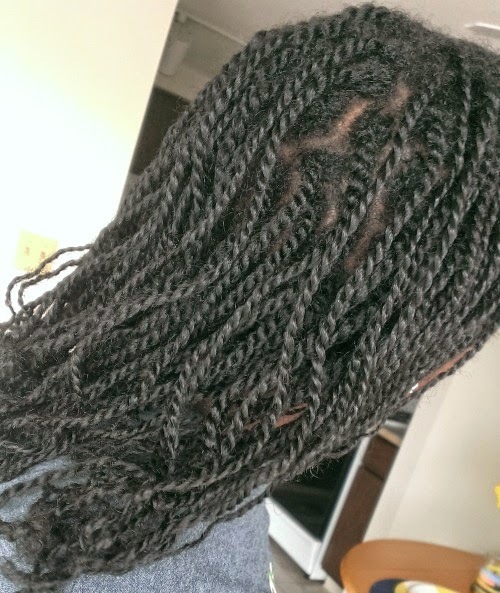 I FINALLY got a chance to install some mini twists! I've been lying to myself during prior weekends that I was going to get these done but...yeah...never happened. But this weekend it did! I actually washed and deep conditioned my hair Friday night. I let my hair air dry over night in tuck in roll twists and then blew out the rest to achieve fully stretched hair. I blow dried on low heat and divided my hair into four sections. 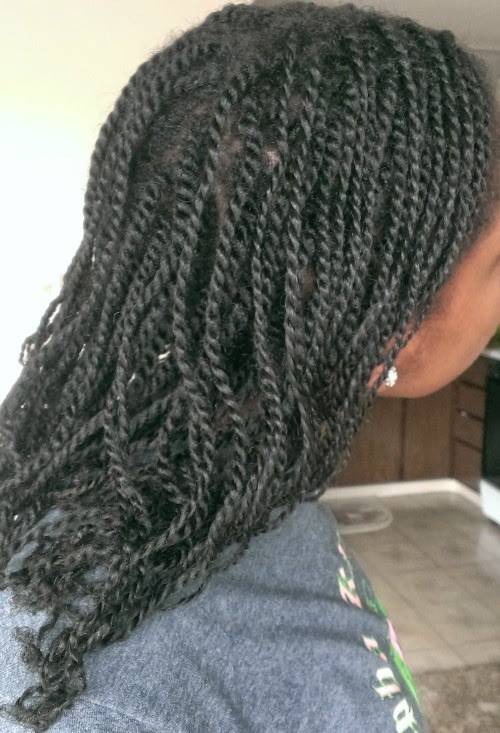 I twisted using only pure African Shea butter. It took a little over 5 hours to complete and at the half way point I was yelling at myself about why I do this to myself each time. lol It just takes so long but is completely worth it in the end! I will be keeping these in for at least three weeks. 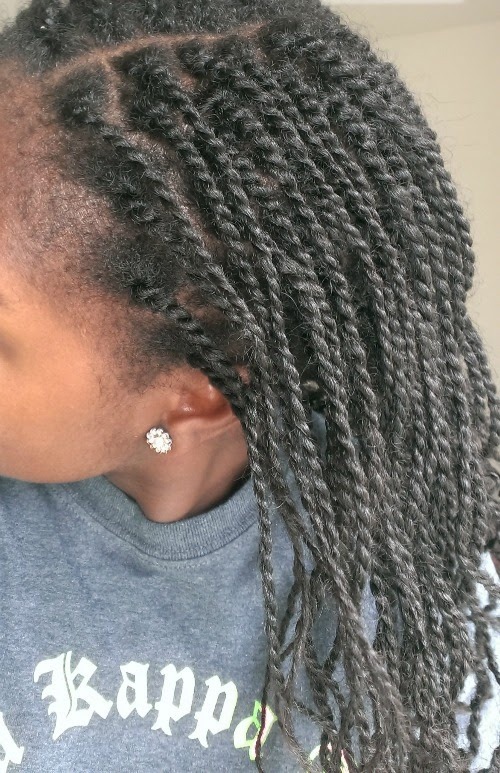 If you are wondering why the twists are so curly and seem to have some shape, I put my hair into two big bantu knots at night to keep them stretched. 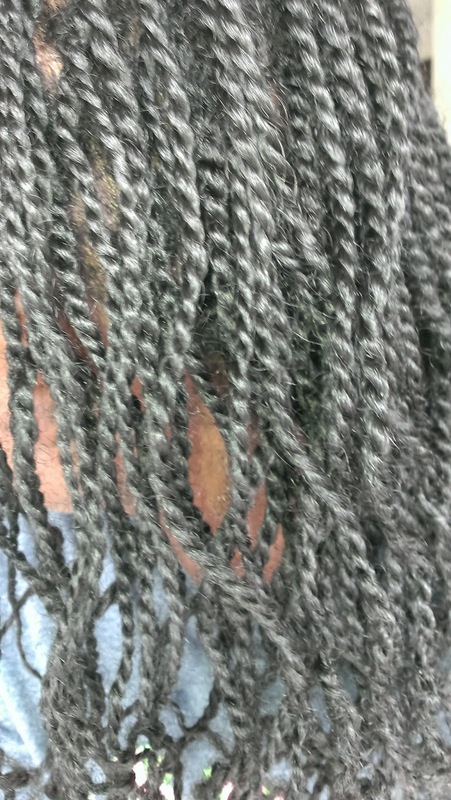 The knots add the curl once I take them down.